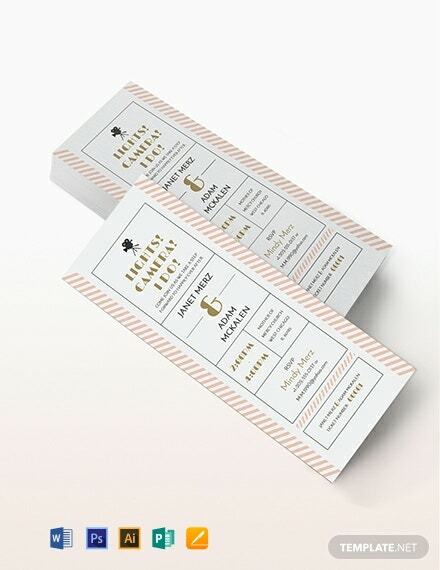 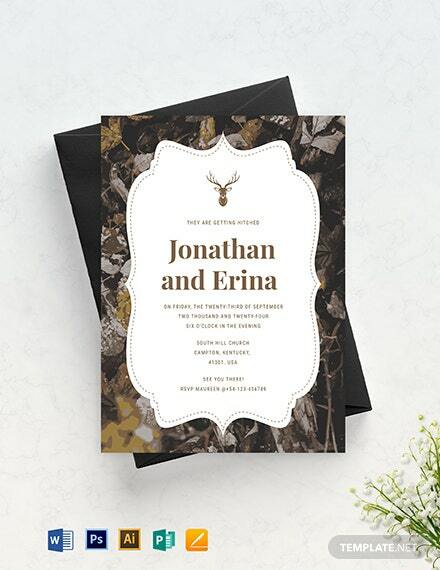 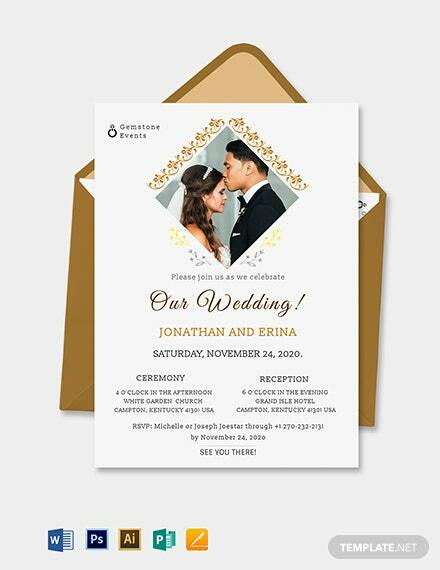 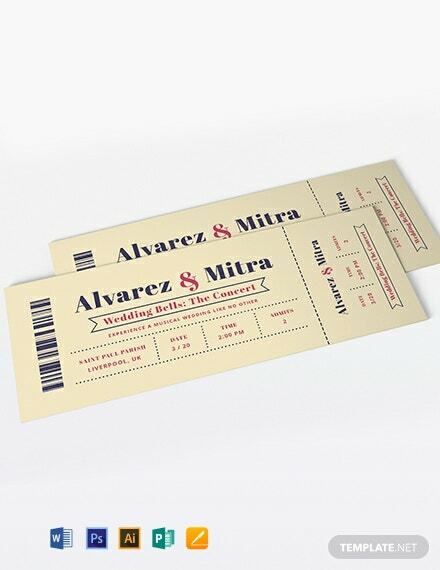 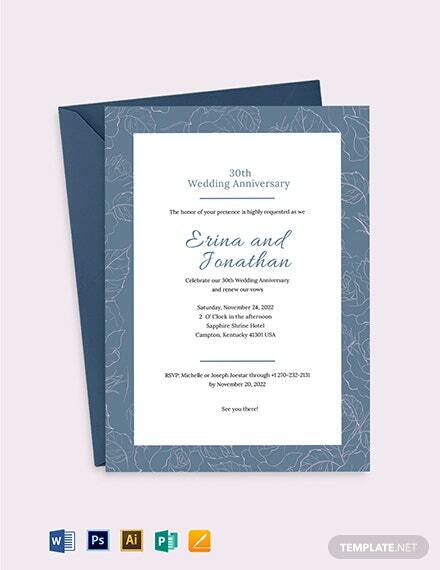 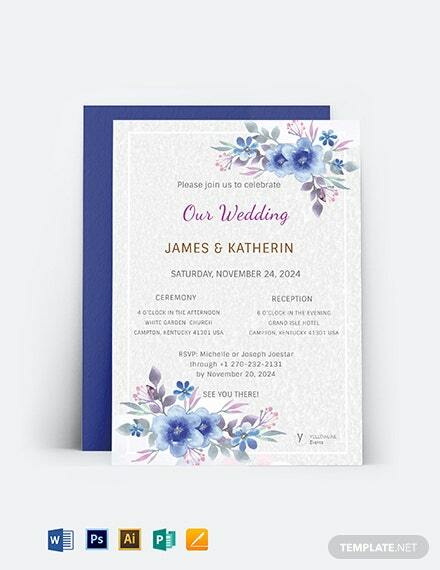 You and your guests will enjoy this wedding invitation template! 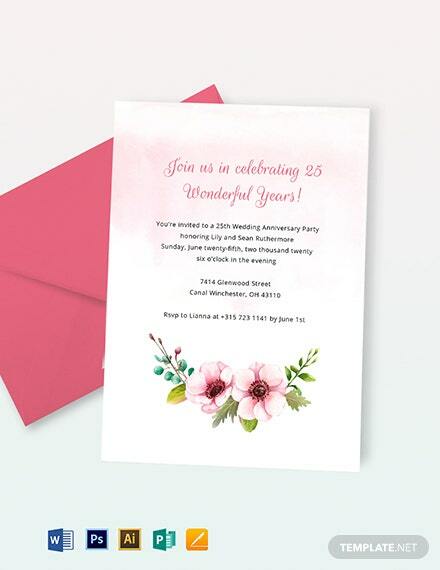 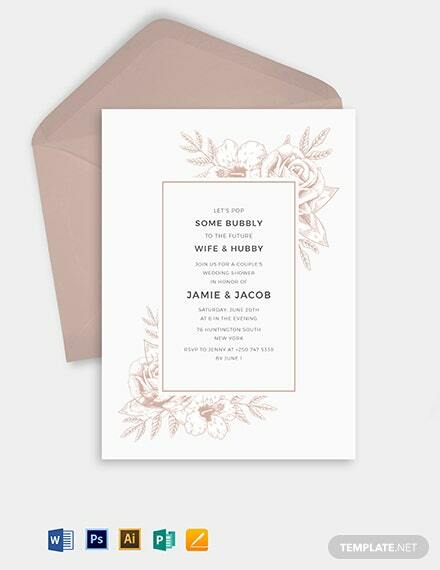 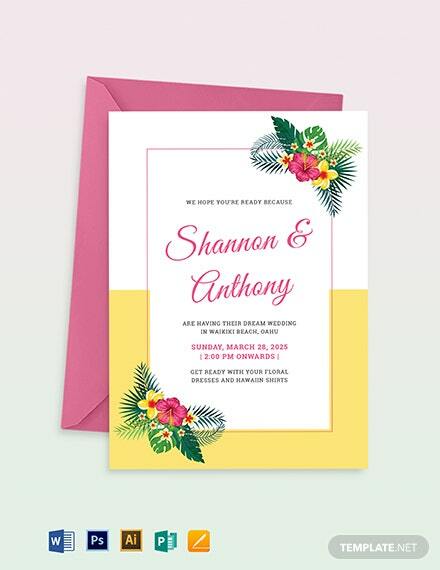 A card invitation with beautiful design that is equally versatile. 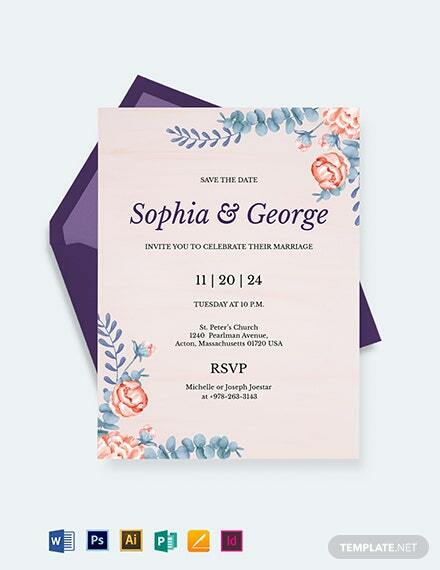 You can change the format, put more details, or add photos to make +More it more personalized. 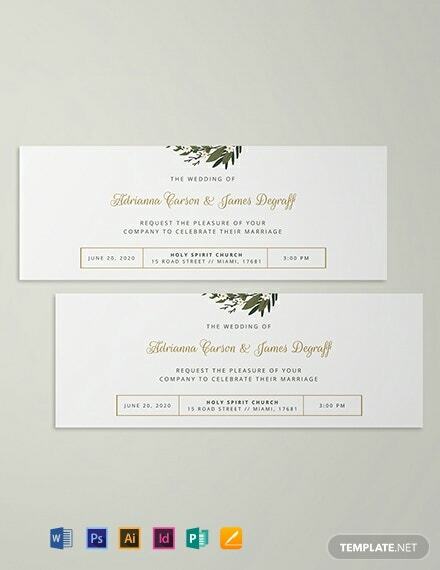 Fully editable through Adobe photoshop.